This is a post I've been meaning to write for a while, and actually started before Rohan was born, and is on one of my favourite subjects...pushchairs. I do love a good buggy and having a nose when it comes to finding out what pushchair someone has chosen for their new arrival. So I thought I would talk you through the journey and selection process we went through in choosing our pushchair. But as you all probably know, Rohan is still in hospital. We've yet to do those first little milestones such as our first trip out as a family, a walk to the park or even the school run. And whilst obviously Rohan's health is the most important thing and we know he's in the best place, I still get pangs of jealousy and longing to be pushing my own buggy around and showing off my new baby. When we're in hospital with him I don't seem to notice, but as soon as I step out the building without my baby I feel like something is missing. Doing little things like walking to school, to the doctors or round the supermarket feel significantly odd without having a baby with me to carry or push. I've not pushed a pushchair in over two years now but somehow now it feels as though something is missing without it. So we have our lovely pushchair all ready and waiting at home, and all we want is for Rohan to be home so we can complete our little family and finally have those little moments and trips out like other families. But anyway, I thought I would put together a little of how we came to a decision on which pushchair to get and what we looked for in one. I didn't take much notice of pushchairs before Theo was born, and to be honest didn't do ANY research into buggy's when we were buying for him. What a mistake that was! We didn't really know what we were looking for, what we WEREN'T looking for, what the best pushchairs out there were etc. I really didn't know that this whole world of buggy buying existed, we sort of just picked one in our price range and went with it, only to get a month or two down the line and actually using it when we soon realised the error of our ways. We sold our first awful 'travel system' a few months after Theo was born, and replaced it with something that did the job and saw us through until we no longer really needed to be lugging a proper pram about. It was a good option, in our price range, and despite a few issues with breaking wheels, did us pretty well. But this time around I was definitely more clued up. I knew I didn't want to go and get the same as we had last time so I had to actually start thinking seriously and properly researching what we wanted. When looking for a pushchair for us we really wanted to make sure we made the right choice first time around this time. From experience we knew what it was like to make the wrong choice and how much it inconvenienced us in those first few months, and it was a pain to have to go through the whole buying process again after a few months. 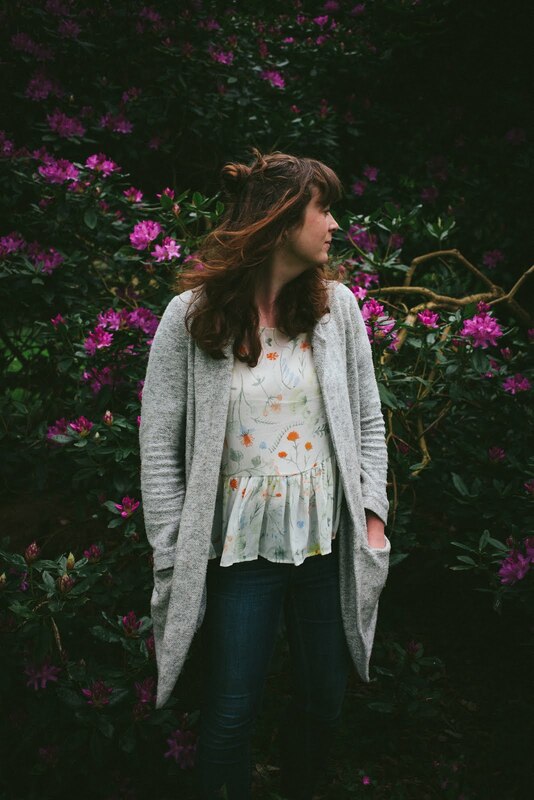 So making sure we fully researched, by reading forums, watching online demos and reading reviews on blogs made me feel much more at ease and knowledgeable about the products we were looking at and to make a more informed decision. We knew from the start really what we were looking for, and started researching not far into the pregnancy this time around. I was pretty excited to be able to go and pick something out and imagine having a baby in our lives again. 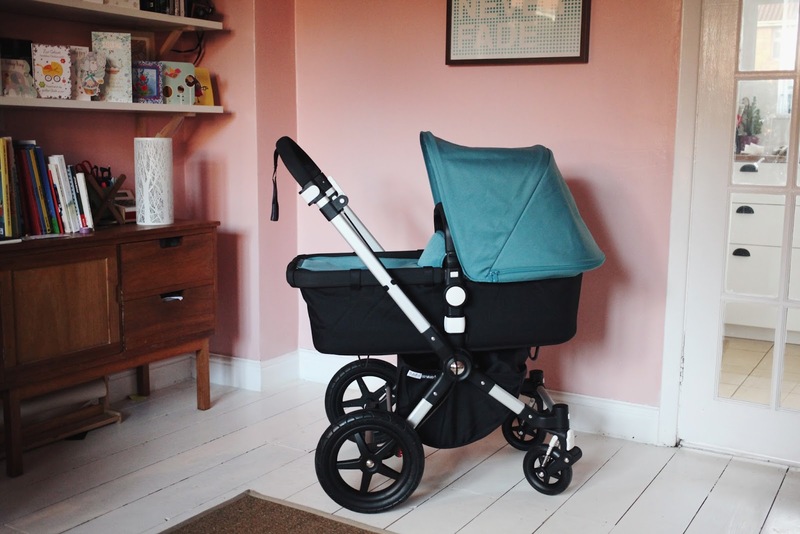 So we had a list of things we were looking for in a pushchair when researching, and even though I pretty much knew what I wanted from the beginning, we did look at alternatives to compare. - We wanted a pushchair that could be versatile for our needs, so good for the city and for a little off roading for our family walks. - I wanted something with a carrycot for those first few months, something which we missed out on last time. - I then wanted the option of having a rear and front facing seat that could grow with the baby and be easy to maneuver into different positions. - We wanted a fairly compact pushchair that wouldn't take up too much room in the boot or home and would fold up fairly small. - We wanted something that looked good too, from having bought something pretty ugly first time around! I like a bit of colour too, but didn't want a garish design. - A good size shopping basket - Finally, and importantly, something with good safety features. Now obviously we haven't had chance to road test it properly, so I can't say fully whether it has met all of our needs or requirements but there are definitely things we love about it already. 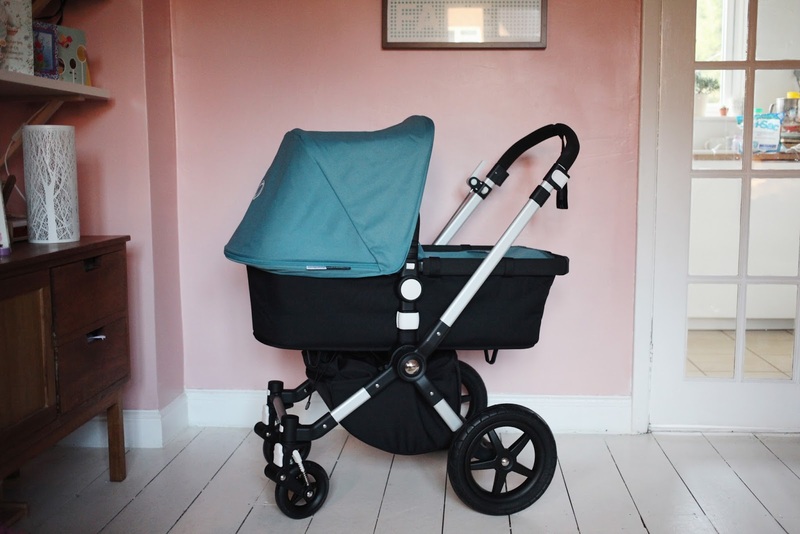 Firstly the look of it, I've always loved the classic design, with a great range of colours for the fabrics and the fact the carrycot and seat unit fit on the same frame without having to store a great big unit whilst you're not using it. After reading quite a few reviews of various pushchairs, I was aware that putting them together can be a bit of a challenge so was a little wary. I have to say Rob did most of it, as at pretty much 9 months pregnant I couldn't do any lifting or bending! But I watched and it couldn't have been easier. 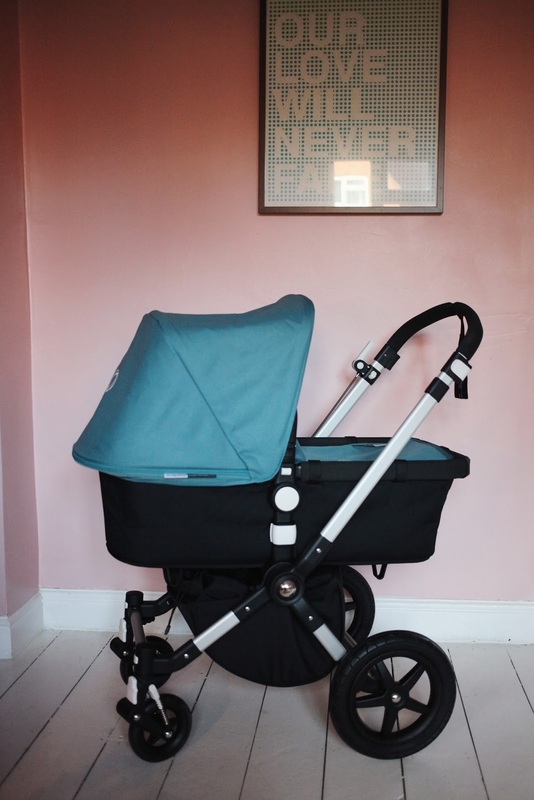 The frame was assembled in the box, so all we needed to do was attach the wheels, shopping basket, the carrycot to the frame (which is very simple with velcro straps!) and finally the fabric hood and apron. We've had a play around with folding and unfolding it, and whilst we've not been able to test it when we've been out and about, we both feel pretty confident about how it works and love how simple it is. The handle bar height it also a winner for us, as it extends to a great height for Rob and this was such a major design aspect for us.